Posted July 2, 2018 by Seán Kinane & filed under Immigration, News and Public Affairs. 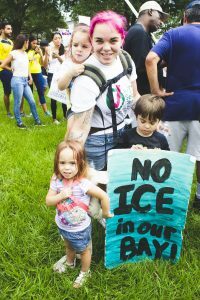 Families Belong Together rally in Tampa supporting migrant families. By Yvonne Gougelet / WMNF News (2018 June 30). WMNF’s Yvonne Gougelet contributed to this report. 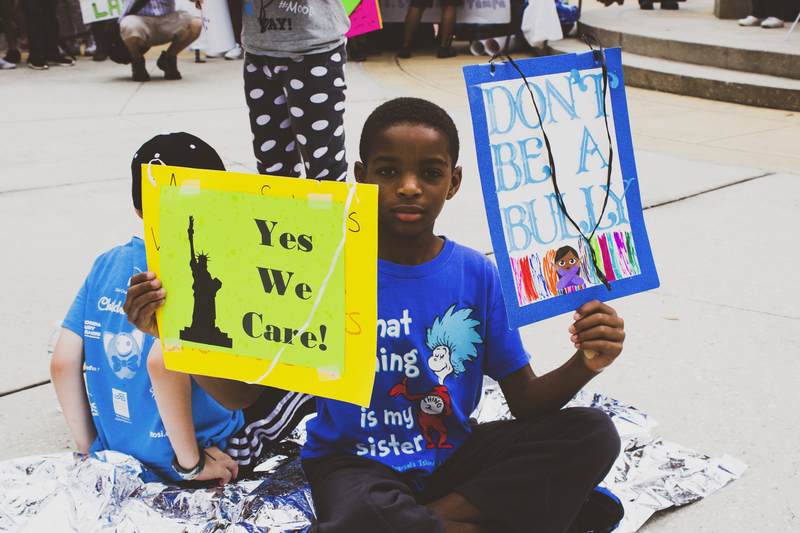 On Saturday more than 700 marches and rallies were organized across the country to protest the separation of families at the border; WMNF’s Rob Lorei reports that more than 3,000 people rallied at the Families Belong Together rally in Joe Chillura Courthouse Square in downtown Tampa. on MidPoint we heard segments from several of the speeches from Tampa, as well as a fiery talk from Pinellas School Board chair Rene Flowers at a rally in Gulfport. There were also rallies in Dade City and in Spring Hill. The Tampa rally was organized by more than 20 local groups. We heard from two Deferred Action for Childhood Arrivals recipients, Leo Dulanto and Jullissa Reynal. Among other things, they criticized the Florida-based Private prison company, GEO Group. And from Norma Henning, a German American immigration lawyer who works with the Council on American-Islamic Relations (CAIR) – Florida. The rally was cut short due to a lightning storm but speakers and citizens stayed in the rain until organizers had to shut down for safety. At the beginning of the show we heard a comment left by a listener after last week’s show. It was about a new Union of Concerned Scientists report looking at coastal flooding projections and how that affects economic concerns like property values, insurance premiums and the tax base.